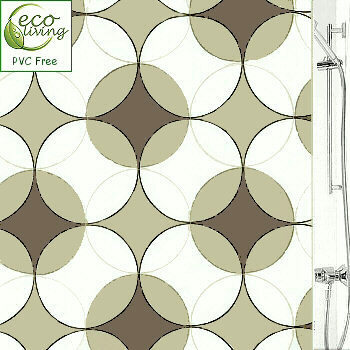 Beautiful taupe, anthracite grey and dark grey tones in this modern shower curtain design. Plus it is non-toxic. The background is solid white.